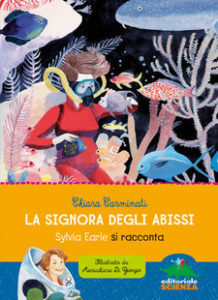 Written by Chiara Carminati (winner of the 2016 Strega ragazzi award), this biography tells in a fascinating way the extraordinary and adventurous life of oceanographer Sylvia Earle. It is a life marked by the passion for the oceans and for her work, a life that has not prevented her from having a large family. And having a big family has not prevented her from continuing to dive and take part in expeditions… In a beautiful interview in the appendix, Sylvia Earle advises girls: “Find what you love. Never give up the passion for what you really care for. If you have a dream, don’t wait. Find a way to make that dream come true. Don’t let people tell you that it is impossible or foolish. The beauty of dreams is that they never end.” The book is particularly well-presented in terms of layout, with a pleasant and legible font, and beautiful illustrations by Mariachiara di Giorgio. “Donne nella scienza” (Women in science) is a series by the prestigious Italian publishing house Editoriale scienza, the most important publisher of scientific dissemination for children in Italy. 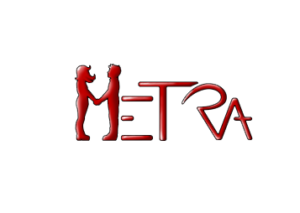 The series is dedicated to women who have made a great contribution to science. It offers complex and exciting portraits of both their lives and research, thus stimulating girls and showing them inspiring models. However, the series is also highly recommended for boys, who often have few opportunities to get to know the women who changed the history of science.